For centuries, the life of Jesus Christ has divided human history into two eras: the before and the after. Who He is, what He said, what He did, and what was done to Himthese are, without a doubt, among the most dissected, discussed and debated subjects ever. Jesus fielded many questions. Some were from sincere seekers of truth; others were from devious manipulators of truth: Which is the great commandment in the Law? What must I do to inherit eternal life? Why do your disciples break the tradition? Who gave you this authority? Often, Jesus answered a question with a question. Jesus skill went beyond rhetoric to challenge ideas, inflame faith, and spur action. Jesus asked the rich young ruler, Why do you call me good? When questioned about taxes, Jesus held up a coin and asked, Whose likeness and inscription is this? Before revealing His divine identity to the disciples, He asked them, Who do you say I am? The answer to that question makes all the difference. This book is full of questions about Jesus. The answers are based on what Jesus said about Himself and what the Holy Spirit inspired the biblical writers to record. 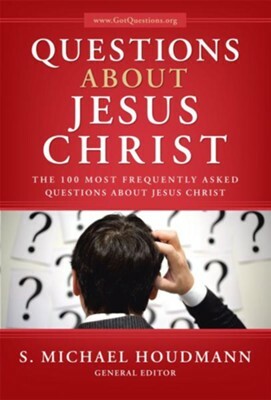 I'm the author/artist and I want to review Questions about Jesus Christ: The 100 Most Frequently Asked Questions About Jesus Christ - eBook.